Digital Theory is a Toronto-based management consulting firm founded in 2006 by senior media executive and lawyer, Kate Hanley. Our network of best-of-breed experts delivers cutting-edge research, digital business model innovation and strategic planning to corporate players and government at all levels. Kate Hanley, President of Digital Theory Media Consulting is a lawyer and management consultant with over twenty years executive experience in the media and communications industries. She works with corporate players, cultural organizations and government agencies to build effective strategies for the digital economy. Areas of expertise include public policy development, media and entertainment corporate strategic planning and executive skills development. As a media and entertainment executive, Kate Hanley has held senior positions in broadcasting, magazines, book publishing and multi-platform production. She was most recently President of Women in Film and Television. There she led all policy affairs and oversaw Canada's first national film, television and digital media employment and skills study. She developed over three hundred hours of industry training annually and established the province’s media business certification program, delivered in partnership with the Schulich School of Business. As Vice President, Programming and Business Development for the Jim Pattison Trade Group, Kate headed the multi-platform development team for the organization’s content division which included digital cinema, online merchandizing, image sales and DVD production. 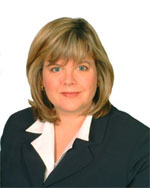 As Director of Strategic Planning and Business Development for management consulting firm NextMedia, Kate oversaw business strategy and policy development for leading media players including HMV Canada, The Canadian Private Coping Collective, SOCAN, Family Channel, APTN and the Ontario Association of Broadcasters. Prior to that she was Director of Business Development at S-Vox where she led the broadcaster’s multi-platform revenue operations including affiliate marketing, online distribution and integrated media partnerships. Kate is former Chair of the Entertainment, Media and Communications Section of the Ontario Bar Association, Past Chair of the Women in Film and Television-Toronto Board of Directors and former Chair of the National Corporate Committee for Unicef Canada. Kate holds a B.A. from York University and an LL.B. from the University of Western Ontario Law School.